Slavery had always been a legal institution in the United States despite its degradation of a race and high cost in human misery. On the eve of the Civil War, it was a robust enterprise in no danger of dying out. It was the major cause of the war, the promoters of secession considered the defense of slavery the prime reason for establishing the Confederacy. Slave ownership was protected by the Confederate Constitution. Fifty percent of families in South Carolina and Mississippi owned slaves. About a quarter of the families in Virginia, Maryland, Tennessee, North Carolina and Texas were slave owners. Around fifty percent of owners owned less than five slaves. 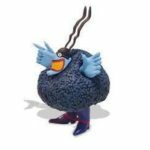 Seventy-two percent owned less than ten. Approximately 45,000 planters in the South owned more than 20 slaves. They were among the wealthiest families, controlling the region’s economy and politics. About 3,000 planters owned more than 100 slaves. Jefferson Davis, the President of the Confederacy, came from this class of slave owners. 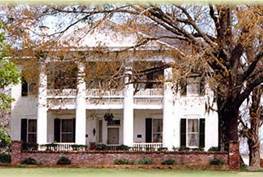 His 1,500 acre Brierfield Plantation was worked by over 100 slaves. Slave dealing was a risky, speculative and competitive business. Dealers worked on a mark-up of about 30 percent. There were laws governing their conduct. 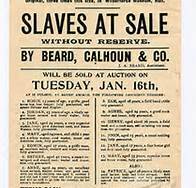 They had to ensure owners got clear titles and they were required to warrant the physical soundness of the slaves sold. Slave prices were low from the panic of 1837 to the mid-1840s, then they began to climb. The price of a prime field hand went up 115% between 1840 and 1860. 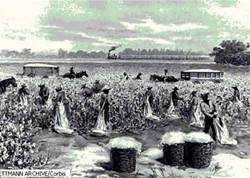 Slave labor was employed in a wide number of activities, 55% were in cotton production. 10% labored in sugar, rice and hemp production. 15% were domestic servants. 10% were skilled workers in trade and industry, working as coopers, seamstresses, blacksmiths, ship crews, etc. The U.S. was undergoing an economic change. In 1859, the value of manufactured goods exceeded the value of agricultural products for the first time in the country’s history. Milled flour was the number one manufactured product. Iron products ranked second. In 1860, the population of the United States was 31 million of which four million were slaves. A move from farm to city was underway in the North. Forty percent of its labor force was engaged in manufacturing. The base pay for an army colonel was $110 per month. A private earned $13. The average factory worker worked a 12 hour day for $240 per year. The population growth in the Free States was 20 times higher than in the South. Migration from the South to the Free States was three times higher than the inflow. Seven out of eight foreign immigrants settled in the Free States. Southern cotton dominated the world market, providing three-fourths of the world’s supply and accounting for three-fifths of total U.S. exports. At a 1857 commercial convention held in Knoxville, some attendees wanted to press for reopening the African slave trade because the demand for slaves exceeded the supply. Slave exporting states such as Virginia were against the proposal because it would depress prices. Slaves in the U.S. were valued at $3 billion in 1860. Their value was nearly equal to the value of the nation’s railroads, factories and banks. Slaves in top condition were selling at $1,000 to $1,500 each. Slaves aged 10 to 30 were the most in demand. A slave infant was valued at $200 at birth. The attempt by Southern leaders to preserve and possibly expand slavery was negated by the Civil war. Then as now, ideology and self-interest are deeply intertwined. It is a human trait that has not changed and it often has dire consequences.